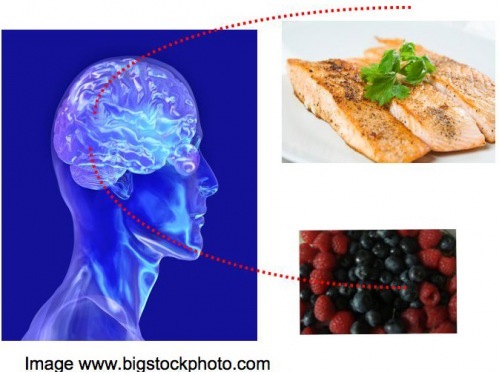 Brain Foods List: Good Foods vs Bad Foods for the Brain: Can certain foods make you more or less smart? Knowledge is power. The more we know, the better for our health and our brains. I would like to mention the work of a remarkable scientist: Fernando Gomez-Pinilla PhD., Professor of Neurosurgery and Physiological Science from UCLA has researched the effects of eating unhealthy foods, foods based in high fats, on our intelligence: According to Professor Pinilla “ Diet, exercise and sleep have the potential to alter our brain health and mental function. This raises the exciting possibility that changes in diet are a viable strategy for enhancing cognitive abilities, protecting the brain from damage and counteracting the effects of aging.” This is incredible, I will say! GOOD FOODS FOR THE BRAIN: Antioxidants, low fats, low sodium, (blueberries, strawberries, salmon, walnuts, yogurt, apple, asparagus) and more! BAD FOODS FOR THE BRAIN: High fats, high sugars: nicotine, alcohol (excess), sodas high in sugars, candy, meals with high fats (especially greasy foods), processed foods (most of them)doughnuts, scones, and more! I like the blog layout, clean bright, easy to read and very smart! Thanks so much Linda, greatly appreciated! hi there…what do you mean? what do you need? why don’t you check out this link? A high-fat, refined sugar diet reduces hippocampal brain-derived neurotrophic factor, neuronal plasticity, and learning.